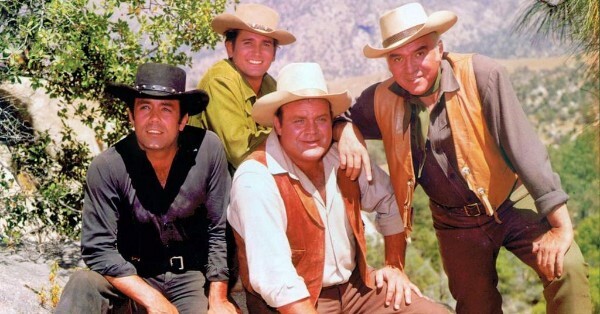 Bonanza was one of the most popular shows of its time and many of its actors went on to become beloved household names. It also happened to be one of the last of the popular Western period in television. Spend some time clicking through and find out behind the scenes facts, little-known information about the stars and things only the most die-hard fans would know! Quite frequently during this period, television portrayed fathers and dads as being micromanaged by their controlling wives. So, in an attempt to rebel against the typical, taboo father on TV, producers created the unique, wise and hardworking persona of Ben Cartwright. Even going as far as “killing off” the previous wives that only appear in Ben’s flashbacks, all of the attention was on the father and his sons. The dedication to creating such a noble character like Ben Cartwright even led to the extension of the show’s airing from a half-hour to a full hour. Producer David Dortort felt so strongly about this that any time a woman was courted on the series, she would either die from a disease, murdered, or left with another character.